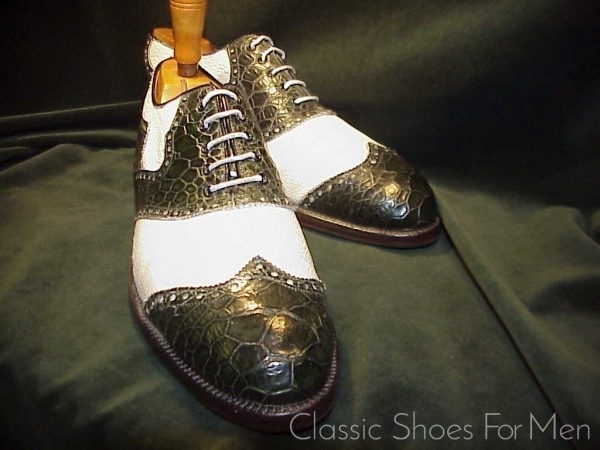 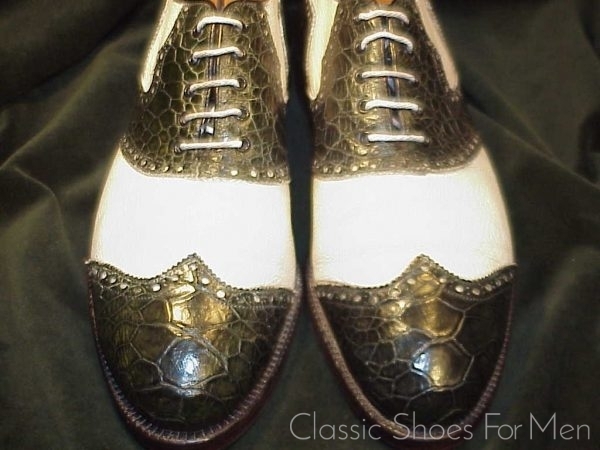 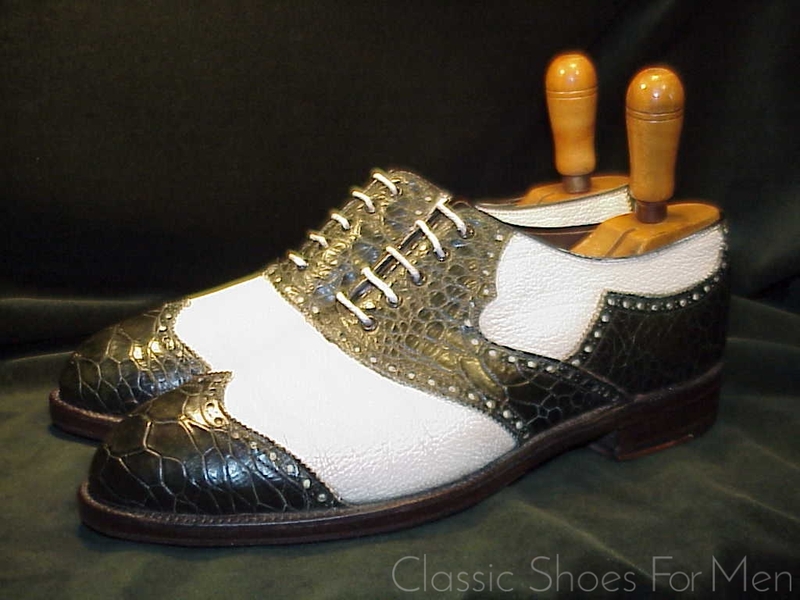 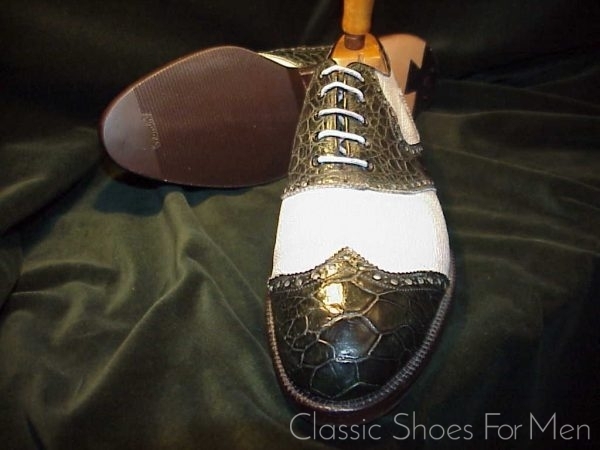 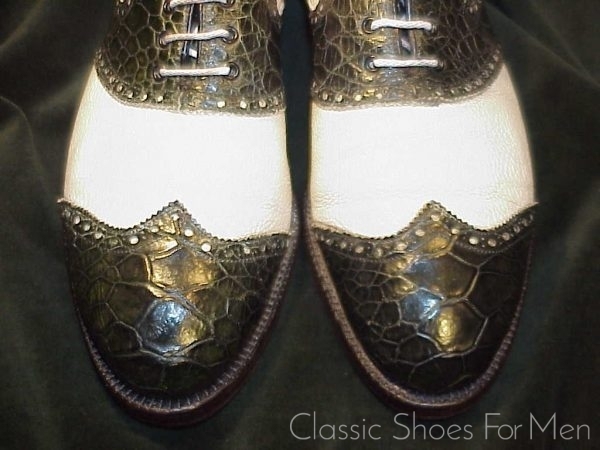 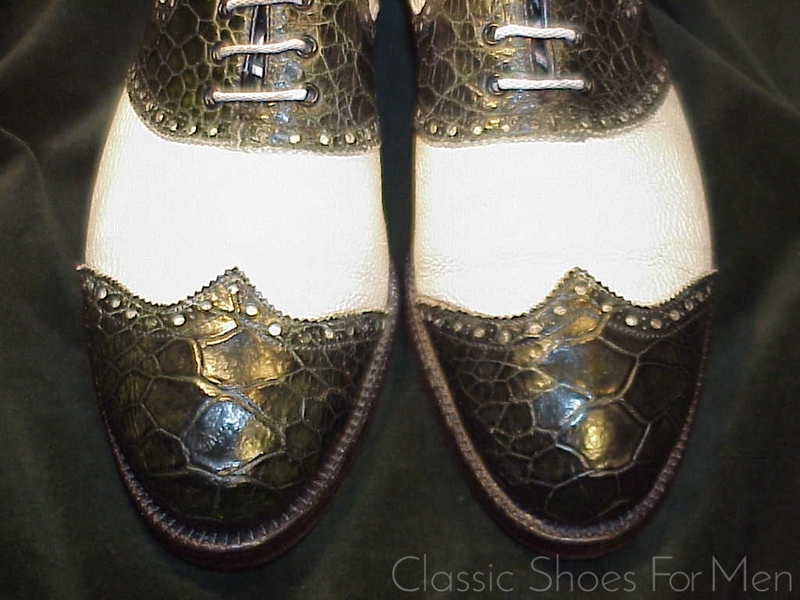 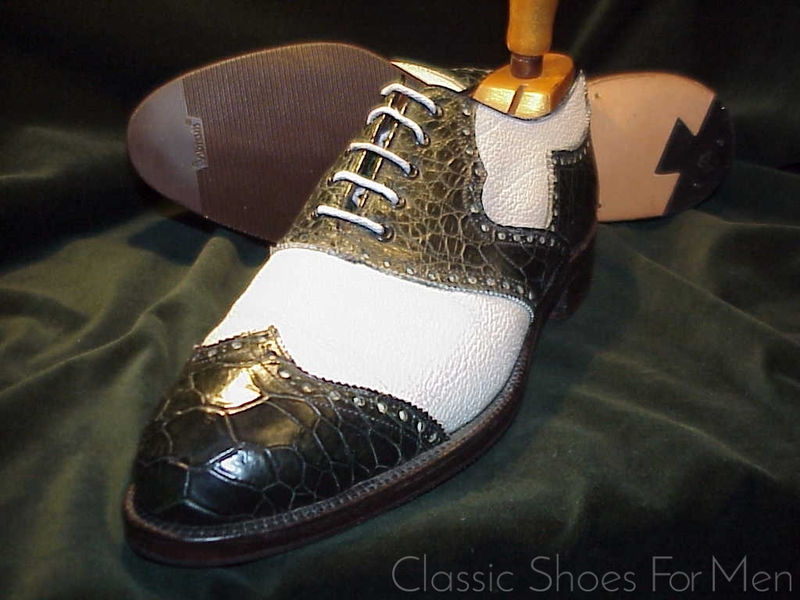 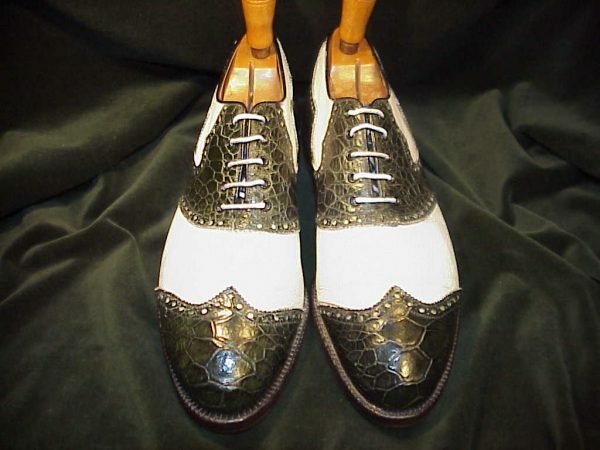 The vintage and antique FootJoys represent the pinnacle of craftsmanship and luxury, and are highly prized by collectors and aficionado of fine shoes. 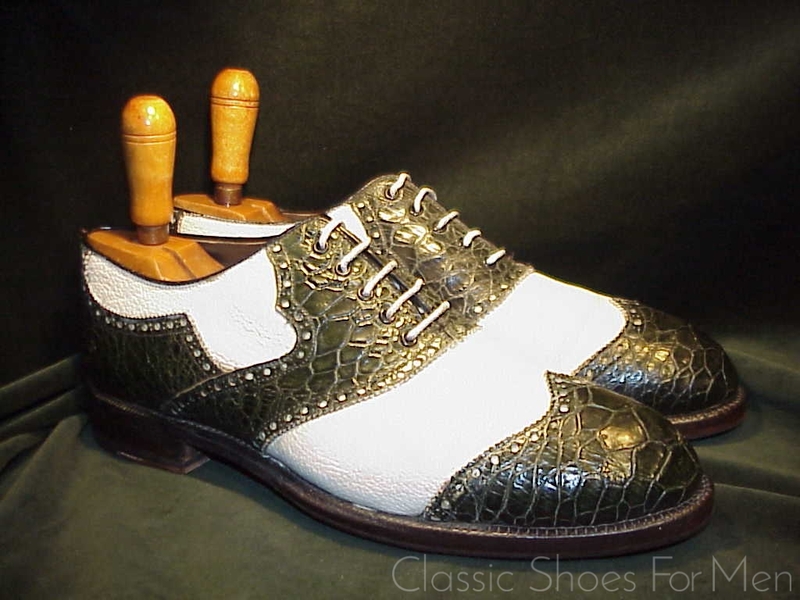 Needless to say, a golf shoe or, as in this case, a shoe made to that standard, must stand up to far more abuse than a normal shoe. You can count on this shoe to survive in all conditions of use. 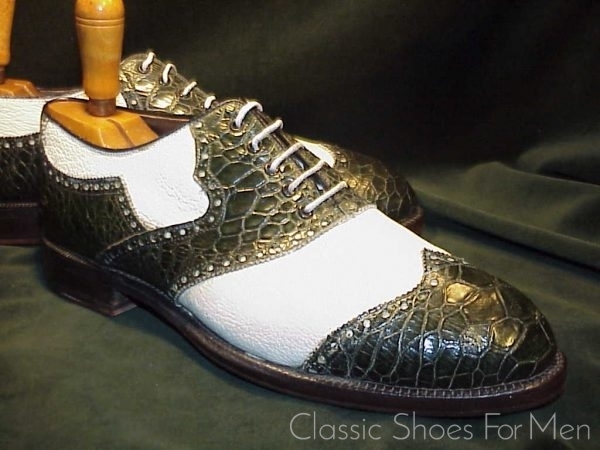 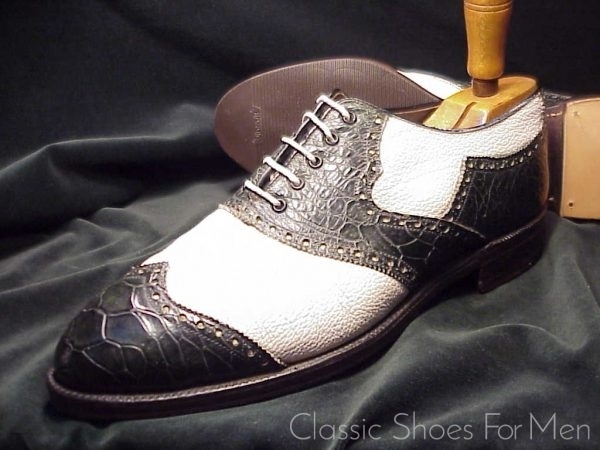 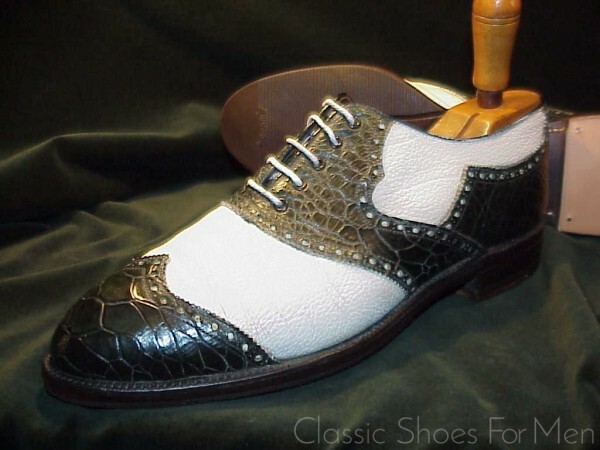 This particular shoe is a professional conversion from golf to street shoe, no doubt originally a special order from a golf client wishing to duplicate his favourite golf shoe with a pair with soles suitable for everyday wear. 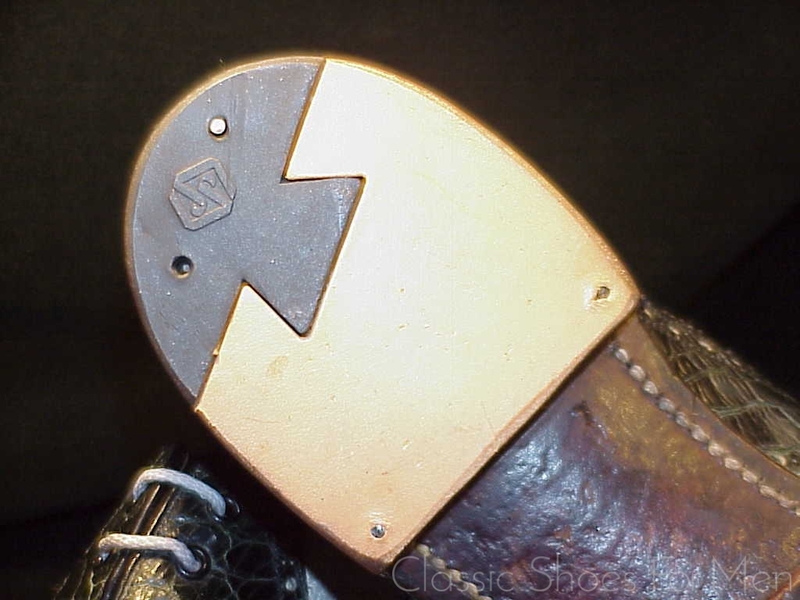 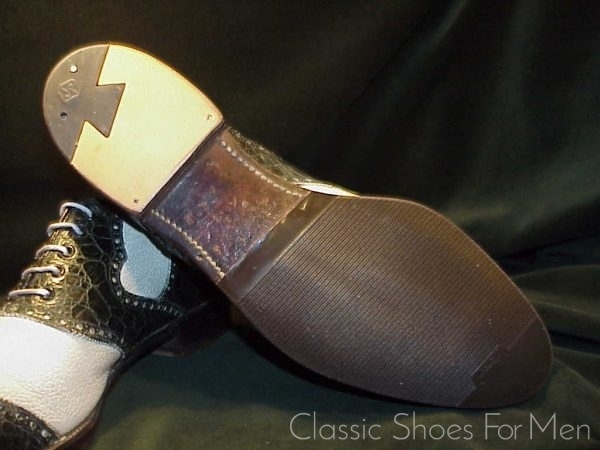 When this shoe was available from the factory before they closed, it cost $1500 plus tax, required 16-20 weeks for delivery, and was not available for export outside the United States. Moreover, special order shoes were non-returnable to Footjoy if, for instance, the fit was incorrect. 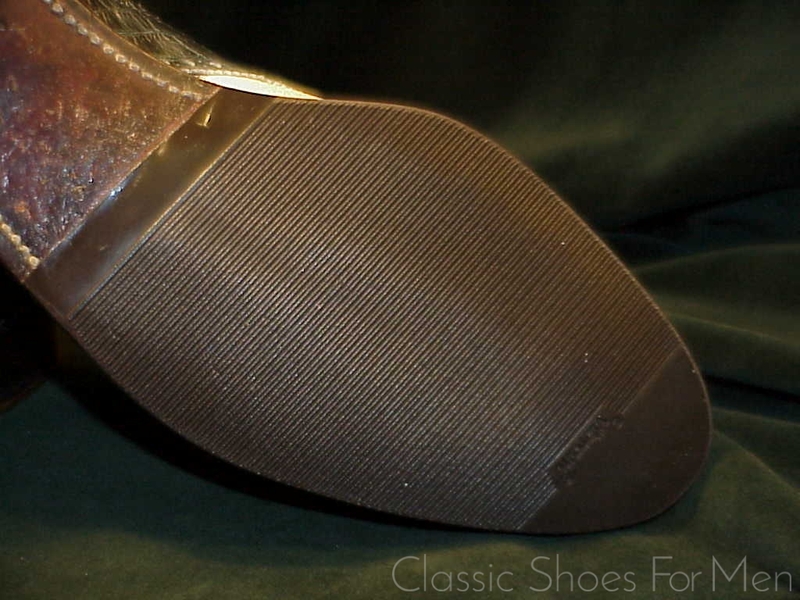 US 11C/D....UK 10D/E.....Continental 44.5C/D, for the slightly narrower to medium width foot. 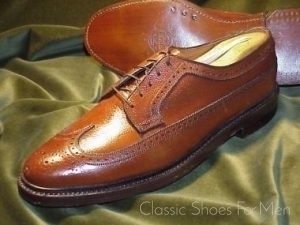 Extra fine: Replacement Vibran soles and J. Rendenbach McAffee style dove-tailed combination heels, never worn. 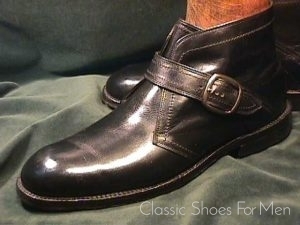 Tops near new.